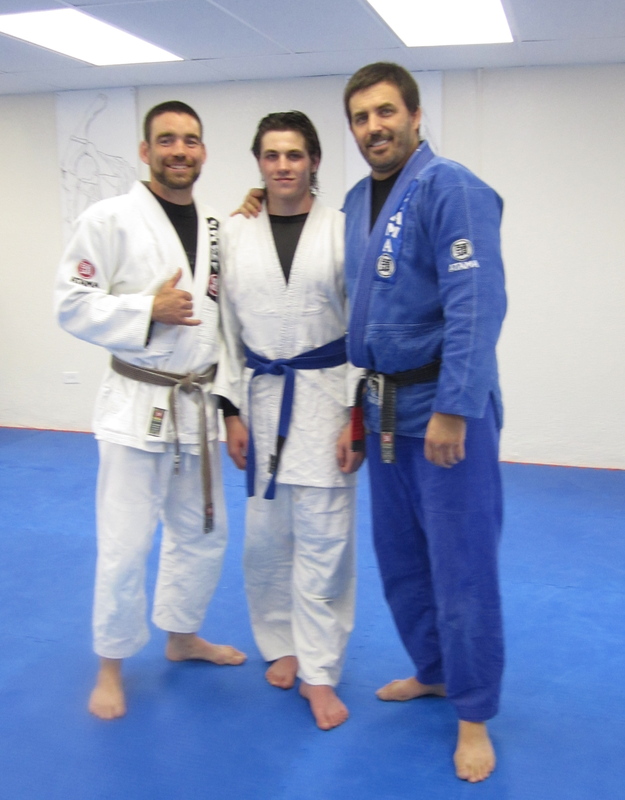 This past weekend, 2 well deserving young men, Andy Miller and Troy Everett, received their blue belts at a seminar held at Mile High Gracie Jiu Jitsu. Morgan is doing a great job and the technical level of the students is really impressive. If you ever go to Denver, look these guys up, you won’t be disappointed. Keep up the good work guys, we will see you again soon! Leister Bowling: Best coach you haven’t heard of….yet. It’s nice when good people get the recognition they deserve for their efforts. Leister is one of the good guys and a fantastic wrestling coach. 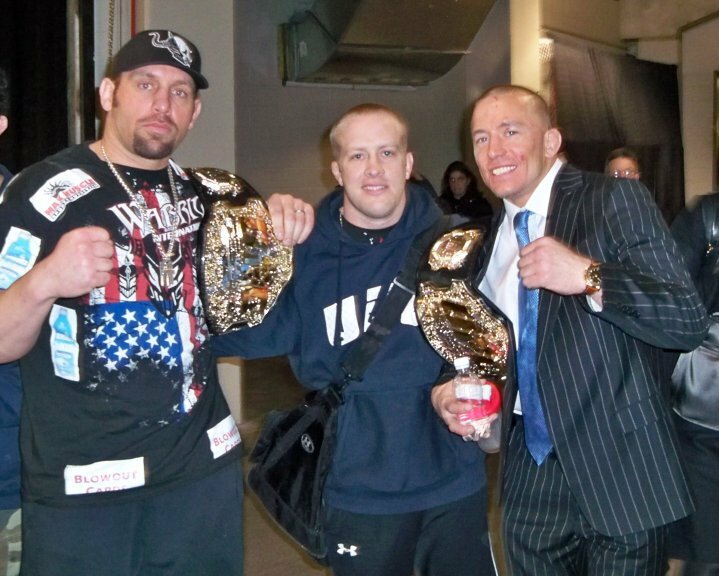 He has worked with many MMA fighters, including Shane Carwin, Georges St. Pierre, Nate Marquardt and Rashad Evans, just to name a few. It is great to see Leister get some of the credit he deserves. Keep up the good work Leister! Gritz and Yaddi have been great teammates for Ben Henderson and Efrain Escudero for years and now it’s their turn to shine. Both guys are tough fighters and good people and we wish them the very best in the auditions! 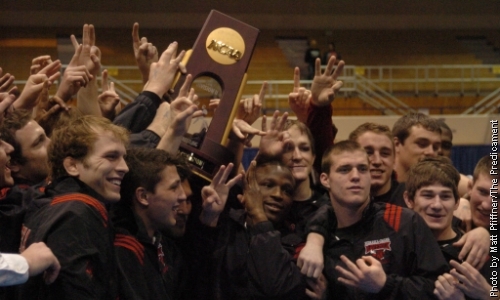 UNO had just 3 peated for the 3rd time in their history. At a time when they should be the most joyful, they received the terrible news that their program was to be cut. Check out this story and support a valuable program. HDNet’s show Inside MMA visited the Lab a few weeks ago, did a feature on our place and it aired tonight! 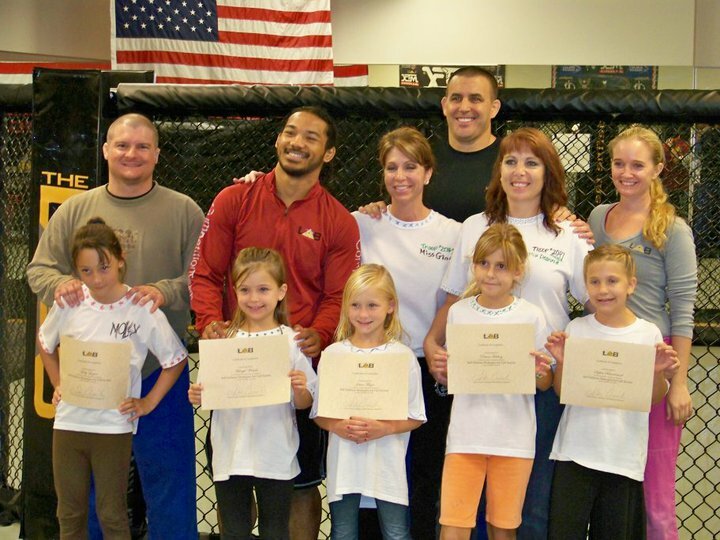 Not only did they catch our self defense class for the Girl Scouts, they did some interviews with Ben Henderson and Efrain Escudero. We love our home and feel very grateful to Inside MMA for the visit. Thanks Inside MMA!! For those of you that did not get a chance to see it, click on the link below to see the show. The interviews are at the 27 minute mark of the first clip and the feature on the MMA Lab is at the 5 minute mark of the second clip. 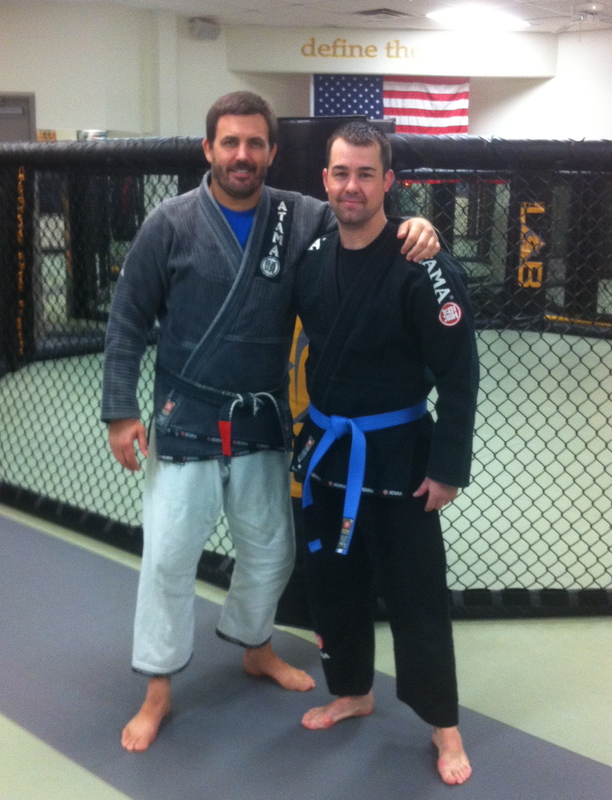 James got his blue belt on Tuesday and we are very proud to have such a great guy be part of the team. Hey guys! Each month we are going to feature one of our JCBJJ students and let you get to know them a little better. As our first featured student, we would like to introduce DJ Saylor. 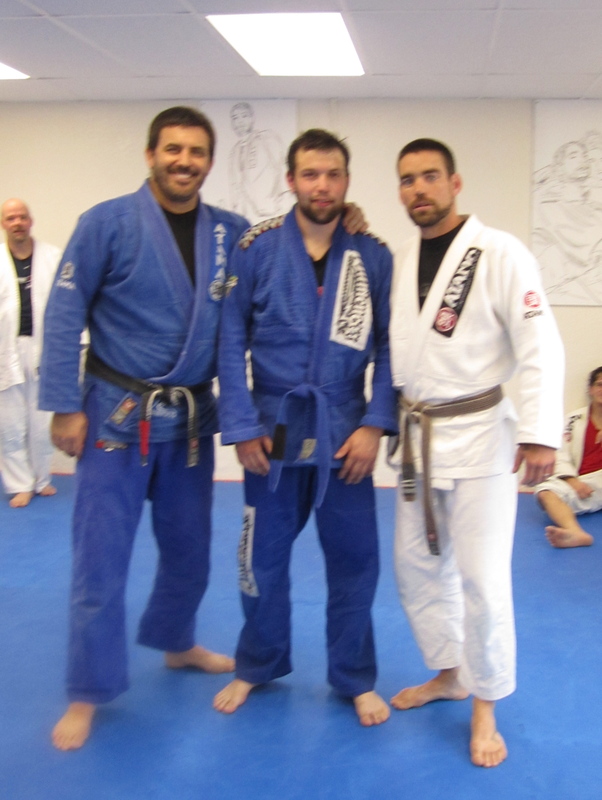 DJ is a remarkable guy and has used BJJ and fitness to turn his life around. 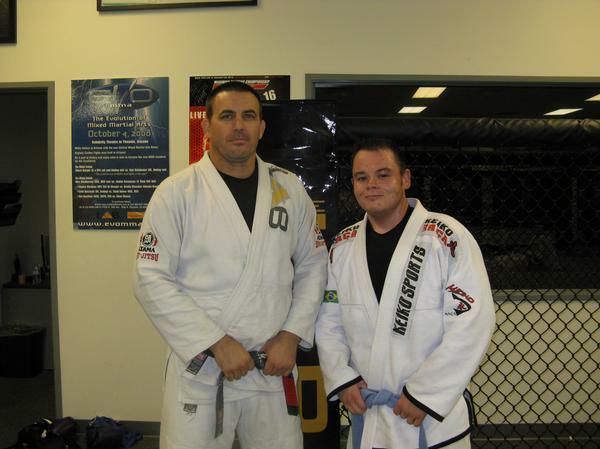 DJ began his training when he was 396 lbs., stayed with it, and competed in a BJJ tournament at 175 lbs.!! His incredible drive and perserverance was an inspiration to all of us and we are happy and proud to share his story.